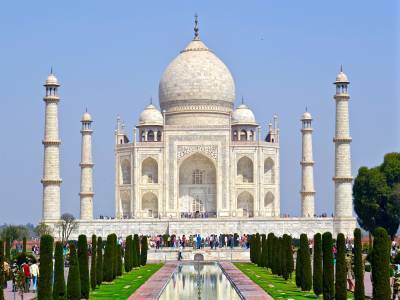 The Taj Mahal is one of the most famous and popular tourist destination in the world, Its is a mausoleum of Shah Jahan's favourite wife Mumtaz Mahal. Taj Mahal is one of the Seven Wonders of the world's, and one of the three UNESCO designated World Heritage Sites in Agra, India. The Taj Mahal became a UNESCO World Heritage Site in the year of 1983 and it remains one of the greatest memorial of India and the world. 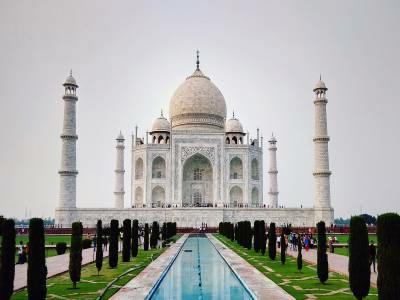 The clearness of the white marble, the excellent decoration, precious gemstones used and it's picturesque location, all make a visit to the Taj Mahal again and a place amongst the most sought-after tours in the world. 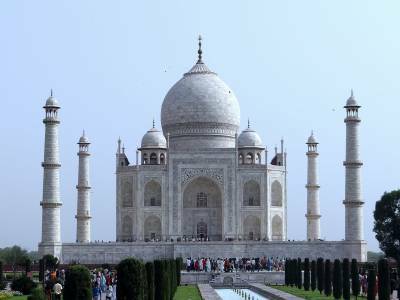 The construction of Taj Mahal started in the year of 1632 and completed in the year of 1653, With the 20,000 workforce included craftsmen from Italy, Persia and Turkey, led by the court architect of the Mughal Emperor, the Ustad Ahmad Lahauri. The Taj Mahal was built using materials from all over the India and Asia and more than 1,000 elephants was used to carriage the materials. 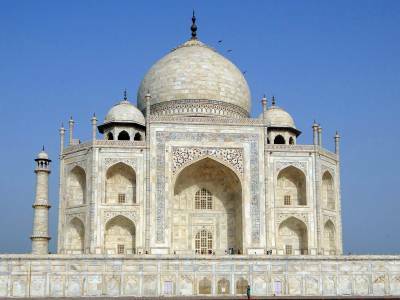 The Taj Mahal materials was used translucent white marble, jasper, jade, crystal and twenty-eight types of precious and semi-precious stones were inlaid into the white marble. The Taj Mahal palace that makes all fall in love with it every time when you visit. The Taj Mahal is pinkish in the morning, milky white in the evening, golden when the moon shines and the intermediary variants during different hours of the day and during different seasons in the year. Transportation and Accommodation is not an issue in Agra city, it's well connected city by rail, road and air. 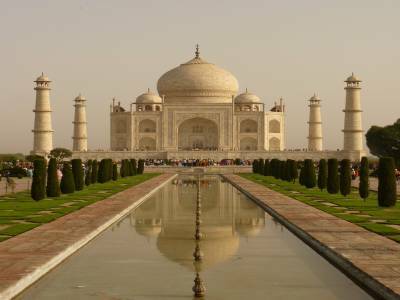 Get quick answers from travelers who visit to Taj Mahal .